This is a playhouse restored to its original style at the time of its establishment in 1894 with a shingle roof. 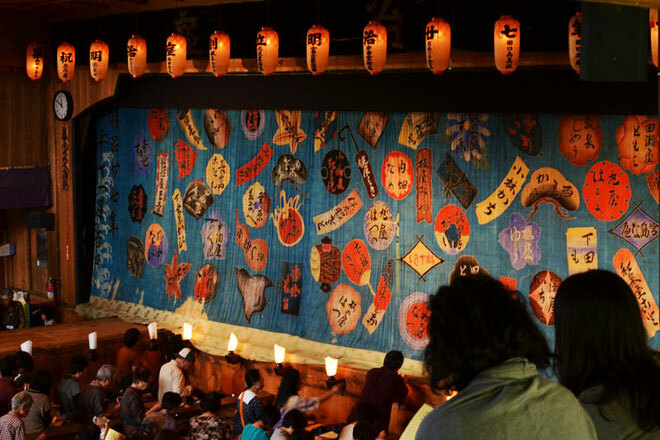 It is a theater-style playhouse in a farming village equipped with a revolving stage, Suppon (a trapdoor on the Hanamichi from which an actor can appear on stage), and two Hanamichi (passages through the audience). 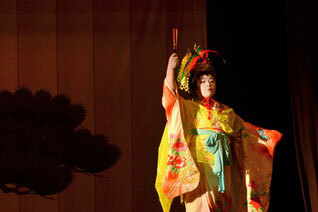 It is designated as an important tangible asset of folk culture of Gifu Prefecture. Last year, preservation work and renovation was completed and this playhouse was renovated to its form of 120 years ago with a shingle roof and stones placed on top, which is very rare in Japan. 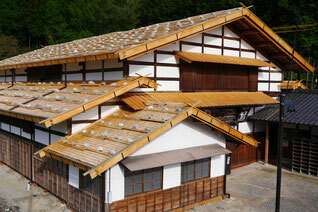 Japanese guides are available here and site tours are available without making a reservation. From Chuo Expressway Nakatsugawa I.C.-50min.